Her fifth album arrives after several years of personal trauma following Brandy’s involvement in a serious car crash. A vulnerable and revealing album, the title track calls out for forgiveness and declares herself as, ”fragile and broken, perfectly human”. Although names like Missy Elliot, Taio Cruz, Keri Hilson and Timbaland were all touted as writers on this album, it ends up being mainly written and produced by long term collaborator, Rodney Jerkins, aka Darkchild. Lead single, Right Here, hits the mark, with a haunting piano topline and retro ”oh oh ohs”, creating an almost gospel sound and reminding us how sweet Brandy’s voice can sound. Understated ballad Long Distance is just as good as If I Were A Boy and should be a global hit, beating with surging strings and tenderness. Expect to hear this one sound-tracking a heartbreaking moment on a Grey’s Anatomy finale sometime soon. Although there’s nothing as fiesty as 2002’s What About Us or jittery as the Timbaland produced Afrodisiac, midtempo highlights The Definition and Piano Man sound bang up to date practising their best Ryan Tedder impression by matching synths, drums and a sweet vocal to great effect. Plus our very own Natasha Bedingfield teams up with Brandy to write uplifting album closer, Fall. Even before Queen Cheryl of Cole sharpened her perfectly manicured judging nails to become the nation’s new sweetheart, Girls Aloud were adored by everyone from misery guts Noel Gallagher to toff David Cameron. Now teaming up with hit factory Xenomania again for their fifth studio album, our girls show no sign of giving up the hunt for the perfect pop song. That perfect song might not, however, be exactly what you’re expecting. Instead of compelling us to race to the dancefloor and jump on our tutu, Out of Control has taken its lead from the success of icy ballad Call The Shots and brought us a shimmering album of heartbreaking electro pop with the tearstained melancholy of the Ashley baiting Love Is Pain its defining moment. Forgetting about hugely disappointing Neil Tennant collaboration The Loving Kind, the Balearic bliss of epic seven minute marathon Untouchable and the haunting swirls of Turn 2 Stone (which cries out for a big trance remix) prove that you don’t have to be brassy to be brilliant. That said, if you’re running back to Tangled Up frantically searching for Girl Overboard, you need not fear. Although there aren’t as many stompers as usual, the sarcastic country of Love Is The Key and drum and bass anti-anarchy anthem Live In The Country, in which Sarah begs for a ”stall selling strawberry shortcake” will go some way in cheering you up. Miss You Bow Wow impresses as one big non-stop chorus and the dancehall mayhem of Revolution In The Head mean there’s no chance of an overly serious ‘we are no longer pop’ edict being issued. Pop music at its finest, Girls Aloud have opened up their hearts, and finally won their battle against drippy, re-hashed ballads. Long may they reign. Far more glamorous than your average indie band, there was a time when it looked like The Long Blondes were going to make it big. NME and Radio 1 loved them, three singles from Somebody To Drive You Home went top 40, and ‘Once & Never Again’ was the soundtrack to every indie disco. Then came Couples; album number 2; and everything seemed to unfairly dry up. So, presumably to renew some interest, the band are going back to basics with Singles – a compilation of their first four 7″s released on small labels like Thee Sheffield Phonograpic Corp, Angular and Good & Evil, and thus essential only for your most die-hard fan. Like so many Sheffield bands before them, Kate Jackson and her fellow scarf wearing pals make intelligent indie music with some of the wittiest lyrics in town. Now we hear them at their rawest form, before the likes of super producer Erol Alkan got hold of them and added unnecessary whizzes and bangs. The very first releases New Idols and Long Blonde are, in fact, so rough and ready that the distortion hurts your ears. But Autonomy Boy soon presents their delicious melodies that we that made us love them so, with the original versions of the complicated ‘Giddy Stratospheres’ and ‘Lust In The Movies’ a definite highlight. On the flip side, the shoutier riot grrl side of the Long Blondes blasts through on tale of heartbreak ‘Separated By Motorways’. 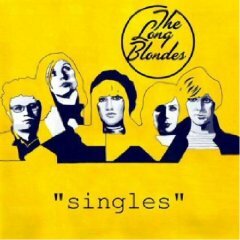 Distinctly English with tales of Peterborough and darts, The Long Blondes should be a national treasure. Despite having lost their way, this compilation shows that going back to basics isn’t perhaps the step backwards it might seem. Of course, having a promo copy, little did I know that once you took the CD out of the case underneath it said ‘We have split’. Here’s the sad story. When Boyzone were first about, a decision had to be made. It was either Boyzone or Take That. To like both was the ultimate sin in the life of a teenage girl, and if you were foolish enough to choose the Boyzone option, you weren’t really worth hanging out with. Now wanting a piece of TT’s comeback pie, they’re back, playing a sold out tour to their adoring public, and releasing ‘Back Again… No Matter What’ – a compilation of their greatest hits, plus three new songs, and a live version of Ronan’s ‘Life Is A Rollercoaster’. While the bad are either hilarious (Love Me For A Reason) or coma inducing (You Needed Me), the good amongst Boyzone’s 16 consecutive top 5 hits still make us smile. 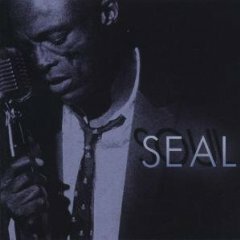 1998’s #1 ‘No Matter What’, penned by Andrew Lloyd-Webber and Jim Steinman for musical Whistle Down The Wind, was a highlight, particularly as Ronan finally let someone else sing the main part. Ronan’s traditional growl is, of course, omnipresent, especially in ‘Baby Can I Hold You’, one of four covers. When it comes to new songs, ‘Love You Anyway’ recaptures the motown fun first heard in ‘Picture of You’ but ‘Can’t Stop Thinking About You’ is an awkward electro song that doesn’t fit the band at all. Ultimately there’s no denying the greatest Boyzone song – ‘A Different Beat’. We are not even slightly being sarcastic here by declaring this one of our favourite pop songs of the 1990s just for it’s extreme randomness. Yes, for some unknown reason, Boyzone, bored of soppy ballads, decided what they were missing were African drums, chanting, foreign languages, thunder, a rousing middle 8, lyrics to solve work peace and a trembling piano. Everything is forgiven just for these 4 minutes. Amazing doesn’t even cover it. If you love Boyzone, you’ll love this. If not, well you might just find yourself a bit surprised by how many songs you’re happily singing along. 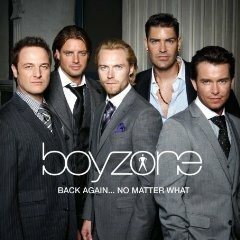 Perhaps after 9 years of Westlife, Boyzone sound like a treat. Originally published at BBC Music. I hated Boyzone as a child, apart from ADB obv, but this was oddly enjoyable. Not in any way your typical Scandinavian pop starlet, Ida Maria is a bundle of anti-stereotypes. She’s not blonde, she’s not got a whispy voice filtering softly over some synth pop and she’s not afraid to show emotion.